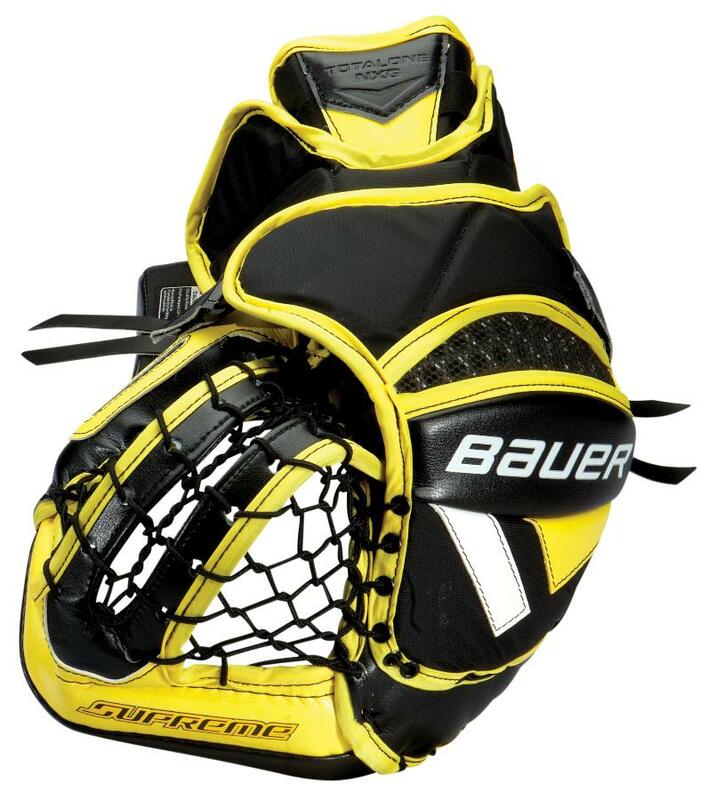 Bauer Total One NXG Pro Catcher | Sports Etc. The Total One NXG catcher has a 1-piece cuff design for maximum control. The Curv® composite reinforced palm increases durability. The double-t creates a deeper pocket and gives an increased catching area. Foam vent on the backhand side of the glove enhances breathability. Sports Etc Performance To Value Rating– 8 out of 10. Curv® composite and 1-piece cuff design makes it one of the most durable catchers on the market. 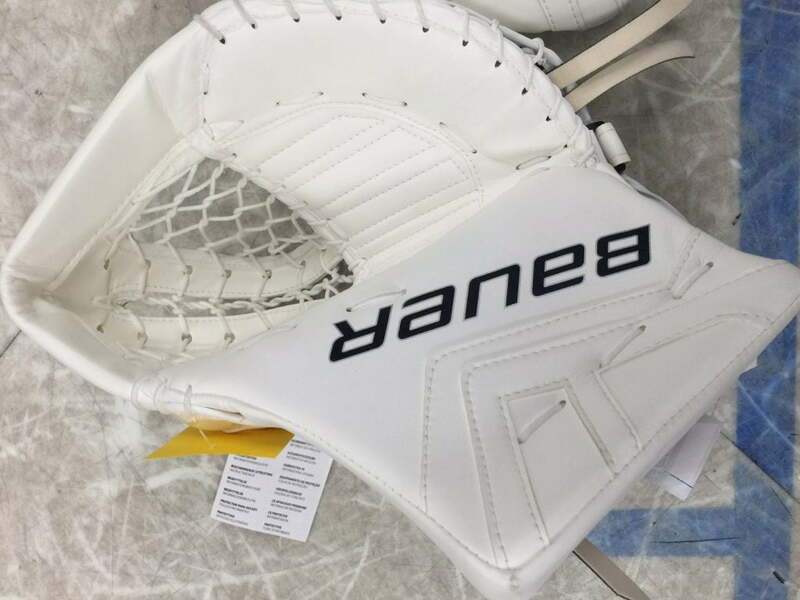 Good for any goalie playing at a high level.